Repositive – the creator of the pioneering marketplace that enables oncology researchers to more easily search and compare pre-clinical cancer models and services – announced today that it has the largest global directory of cancer models on its Cancer Models Platform. With over 4,540 cancer models submitted to date from 14 Contract Research Organisations (CROs), including Antineo, Shanghai LIDE and Xentech, Repositive’s marketplace enables biopharma researchers to quickly find the translational models they need, helping to accelerate the development of personalised cancer treatments to the clinic. With the recent shift towards precision medicine, there is a growing need for oncology researchers to source pre-clinical cancer models with specific molecular and genomic profiles for their studies, which traditionally have been difficult and time-consuming to find. To help overcome this challenge, in collaboration with AstraZeneca, Repositive launched the PDX Consortium in 2017 to provide pharma and biotech researchers with a global marketplace of PDX models and supporting data from industry-leading and specialist CROs worldwide, which can be easily searched and compared thanks to the standardised metadata and molecular characteristics. 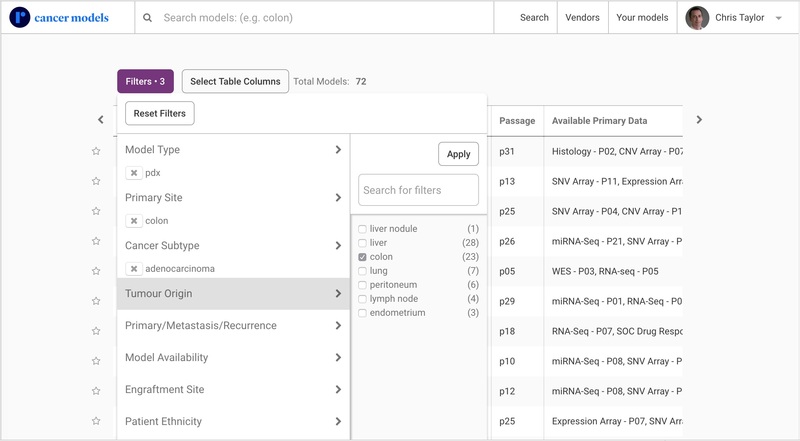 After the successful completion of the PDX pilot, Repositive expanded its Cancer Models Platform to include a larger collection of translational models, including CDX models, organoids and cancer cell lines from providers around the world. 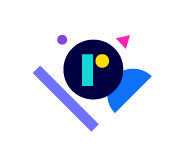 Currently totalling over 4,540 models submitted to the marketplace and growing, Repositive’s Cancer Models Platform provides pharma and biotechs with access to the largest, most diverse directory of pre-clinical cancer models, supporting their progress towards precision cancer medicine. In addition to Repositive’s leading Cancer Models Platform, the company is going one step further to support oncology researchers by offering a confidential Personal Shopper Service. By providing search criteria to the Repositive team under a confidentiality agreement, Repositive’s experts assist in refining the search criteria, search the Cancer Models Platform and partner network on behalf of scientists and return a list of models and services from CROs that meet their requirements, introducing them to their chosen CRO for additional information if one is selected.